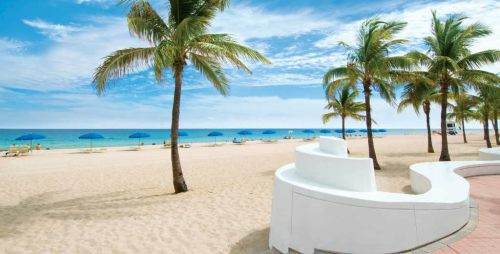 Air Transat has dropped the price of their January and February 2019 flights from Toronto to Fort Lauderdale, Florida down to $247 CAD roundtrip including taxes. Mar 15, 16 to Mar 22, 23 -- new! Mar 29, 30 to Apr 5, 6 -- new! Apr 5, 6 to Apr 12, 13 -- new! Apr 12, 13, 14 to Apr 19, 20 -- new! Apr 20 to Apr 27 -- new! The price should show up as $197 USD which will work out to $247 CAD roundtrip including taxes when booked with a Canadian credit card, including the typical 2.5% foreign exchange fee. Update 4/15 - Air Transat has dropped the price of some of their late March and April 2019 flights from Toronto to Fort Lauderdale down to $246 CAD roundtrip including taxes. 2. On Priceline, the price will show up as $193 USD roundtrip including taxes. Priceline is *always* in $USD. This will work out to $246 CAD roundtrip when booked using a Canadian credit card, and including the typical 2.5% credit card foreign exchange fee. If you use a credit card that does not charge foreign exchange fees, it will be even cheaper. offers completely free cancellation up to 24 hours after booking, giving you a bit of time to decide. toronto, yyz, flight deals, air transat, united states, florida, fort lauderdale, fll and north america. 3 Responses to "Toronto to Fort Lauderdale, Florida - $224 to $247 CAD roundtrip including taxes | non-stop flights (2019 travel)"
that's like 12 months out Chris! nice find anyway. keep an eye out for cheap flights to mediterranean places. anywhere really. I'm trying to get home but its so damn expensive.